Just wanted to let you know that our grand total is £280 and my brother is making that up to £300 so thank you all for your hard work, your spare time and your generosity. I have probably bored you all rigid on Twitter and Facebook about Red Nose Day on 15th March. 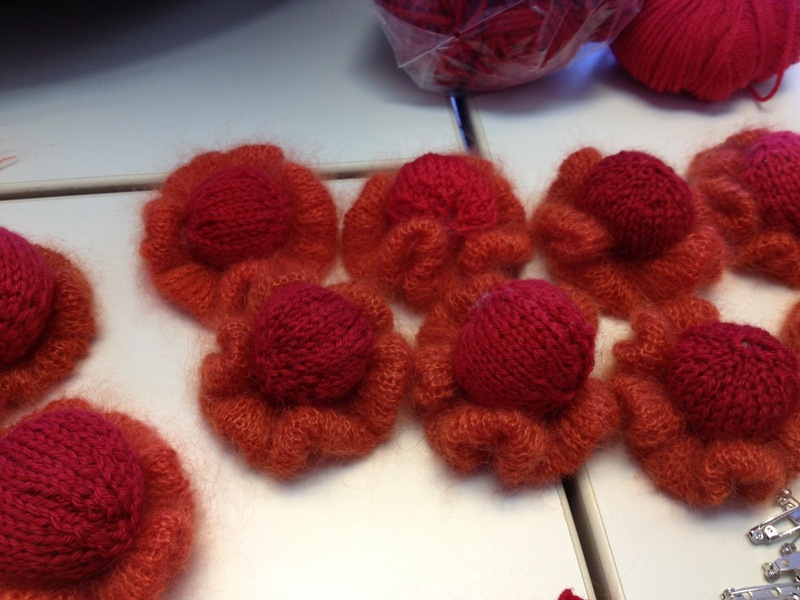 Our fantastic legion of knitters have been creating Red Nose Corsages and Red Noses to raise money when we descend on Old Spitalfields Market on Friday. 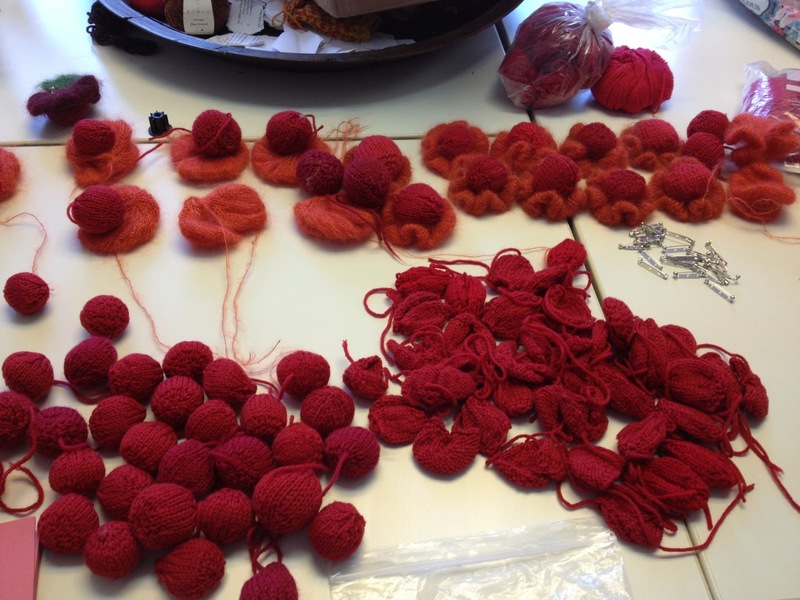 Thanks to yarn donations from Rowan we will be teaching knitting and are expecting 2 local schools who will be making and decorating their own Red Nose Pompoms. I have 2 huge red buckets that I want to fill up to the brim so any bankers in the area had better watch out for their bonuses! If you would like to see how to make the nose, here is a brief video.